Out of respect for traditional methods, I limit the use of power tools to rough out my work, and instead, knife-finish my work as opposed to using sandpaper. Jason Hunt was born in Victoria in 1973 and is of Kwaguilth descent, from the village of Fort Rupert, near Port Hardy B.C. on Vancouver Island. After graduating from high school in 1991, Jason went on to pursue his post secondary education in the field of business administration at Camosun College. It was during the summer break of 1994, after completing his third year that Jason became intrigued with his family’s artistic Heritage. Jason was in the process of seeking summer employment when he decided to visit his father, Kwaguilth artist Stan Hunt. 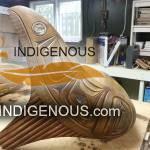 While watching his father design and carve traditional pieces Jason became more interested in the craft. When he tried to carve he found he had a natural connection that has been passed down through generations of the Hunt Family. 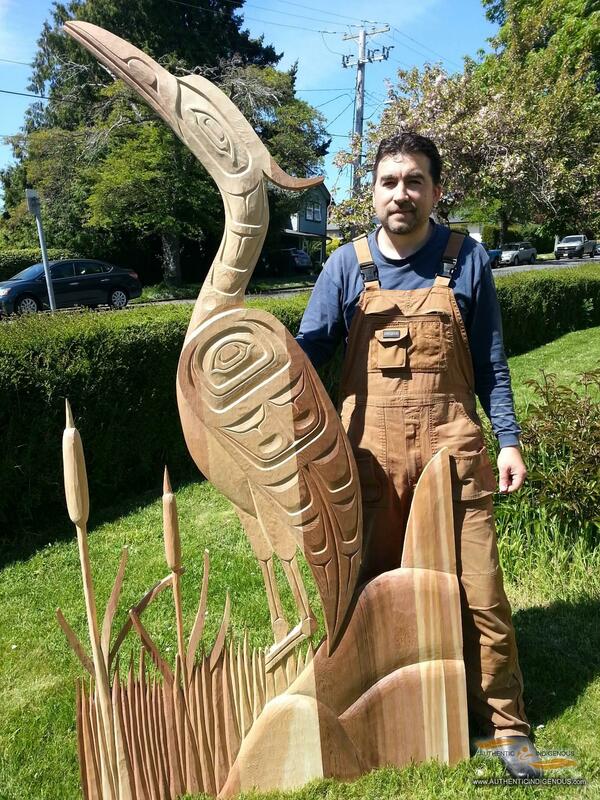 Jason’s lineage strongly influenced his decision to expand his knowledge of his family’s artistic history; and under the tutelage of his father, Jason began to explore the distinct culture and art form of the Kwaguilth people. He strives to maintain the integrity and authenticity of his work by being well versed on the significance of each piece. Jason is prepared to offer explanations of his work with reference to the meaning and the legends behind each of the figures he incorporates into his work. In the last number of years, Jason has focused his work on the creation of unique commission pieces.